While driving through Great Britain and Scotland, we spied an unusual little car on several occasions, one that I couldn’t identify. 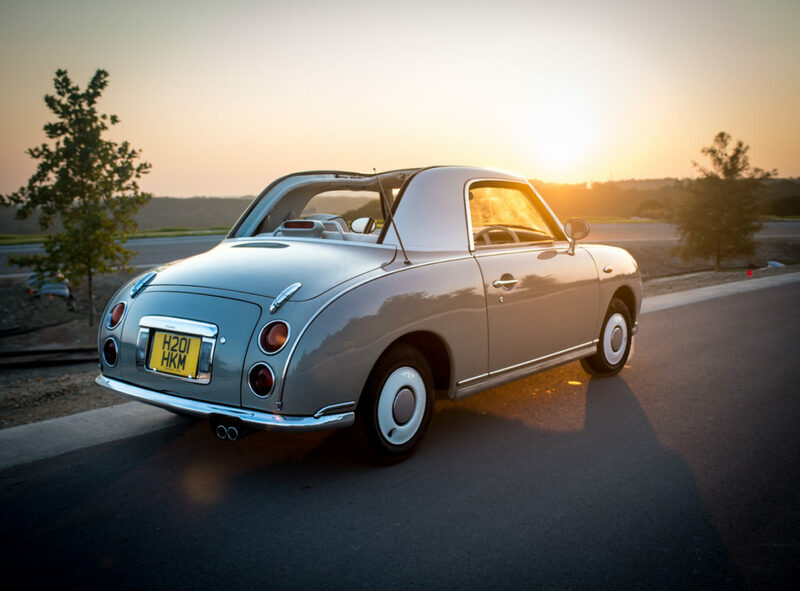 After some further research, we learned this car was a Nissan Figaro.. built only in 1991, and never imported to the US. 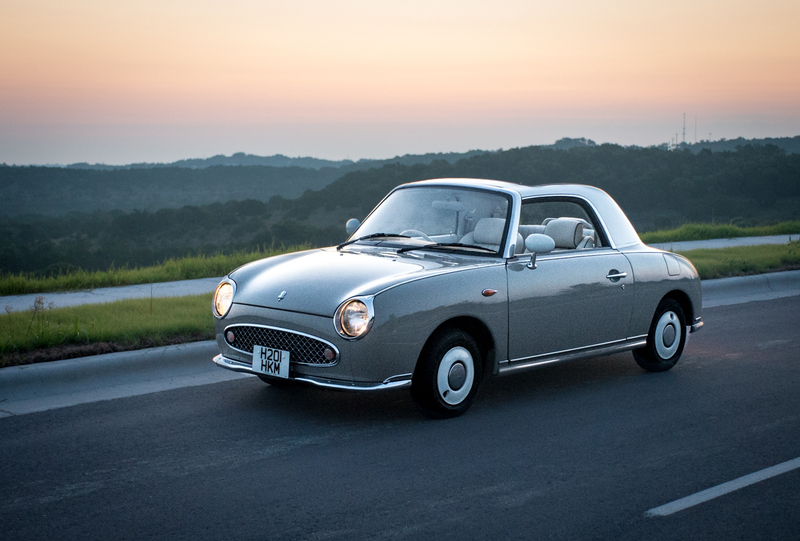 In fact, the Figaro was built in very limited numbers (20,000 total) and intended primarily for the Japanese market. But over the years, well over 4,000 of these right hand cars found their way to England, thanks to a less restrictive import bureaucracy than we have in the US. During our stay, we managed to find a Figaro for sale at a used car lot in the same village we were staying, and so had an opportunity to inspect the vehicle up close, and to take a drive as well. We immediately fell in love, and wanted one for ourselves. Sadly, our US government, determined to protect us all from ourselves, dictates that no car not officially sanction for US sale may be imported into the country unless it is as least 25 years old.